The healthcare field offers a wide array of educational options for young people. An aging population and increased demand for services translates into an abundance of career opportunities for well-trained healthcare workers. Greentree Health Science Academy can give students the edge they need to take advantage of these opportunities. WCCC offers programs for students interested in the medical field at Greentree, including Pre-Nursing, outlined below, Healthcare Management, Sports and Exercise Therapy and Dental Assisting. Sophomores in high school interested in careers in the Health field may apply to the Pre-Nursing program for their junior and senior years. This partnership between WCCC, Atrium Medical Center and Miami University leads students to further education and careers in the health care field. Students will receive instruction in Medical Terminology, Nursing Assistant, Medical Assisting; Phlebotomy; and opportunities for early placement/internship. Seniors will have the opportunity to work independently on a Sinclair College online Introduction to Allied Health course for credit. Coming for the 2019-20 school year, Pre-Nursing and Healthcare Management will be two separate career tracks. WCCC is also recruiting for new programs at Greentree: Cybersecurity, Pharmacy Technology, Surgical Technology. Students will have the opportunity to earn up to a possible 20 college credit hours during their two years as students in the Pre-Nursing program. Students will complete a medical terminology course in which they can earn 3 semester credits; and State-Tested Nurse Aide training with opportunity to sit for the state test. 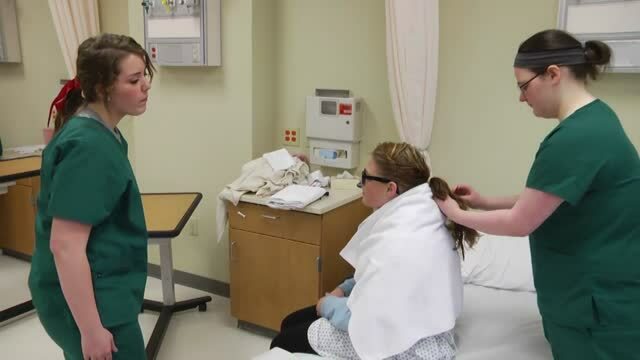 In the Junior year, students will complete clinicals at Atrium Medical Center; and in the Senior year, students will complete clinical assignments at Miami Valley Hospital. Health Science students participate in SkillsUSA, a partnership of students, teachers and industry, working together to ensure America has a skilled workforce. All students also have the opportunity to participate in the Tech Prep Showcase through the Miami Valley Tech Prep Consortium.